Because today’s trip will be very long I stand up early, pick-up Flecha after 10 days and heading to the South. The little drops stopped immediately after I have let Cusco behind me. After 70km I take the turn-off in Cumbapata. In serpentines it goes up to 4.000m and with 8°C it gets fresh again. Along many Alpacas I reach El Descanso where the road turns back to asphalt. I stop at the main place. A nice police man comes to me asking from where and to where… I answer him and ask him if he can recommend the restaurant next to the corner.. He says “yes”, and it is the only we have in this village. A good soup and fish with rice for 5 Sol. The same price I have to pay for a bottle of 2.5l water. I stay for a longer time at a hight of 4.600m – 4.700m. The sun comes out and this presents great impressions. I end up on the connection from Juliaca nach Arequipa, that has lot of traffic, especially many trucks. But the road is sinuous and with my power it is easy to overtake them. It is fun! Already at 5.30 p.m. the sun sets and at 6 p.m. it is dark. The traffic in this megacity (> 1 min habitants) is awful and I’m happy to find the hostel HomeSweetHome. 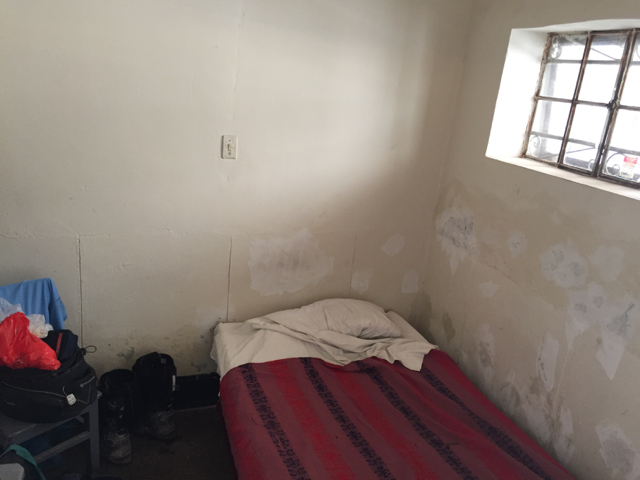 40 Sol for a single room including breakfast and hot water is not self evident, because water is rare here. After taking a shower I visit the city center and don’t regret that I made this decision. Many nice buildings and cathedrals which belong to UNESCO world heritage are really nice. It seems that after 6 a.m. it is not possible to sleep anymore because of too much noise. 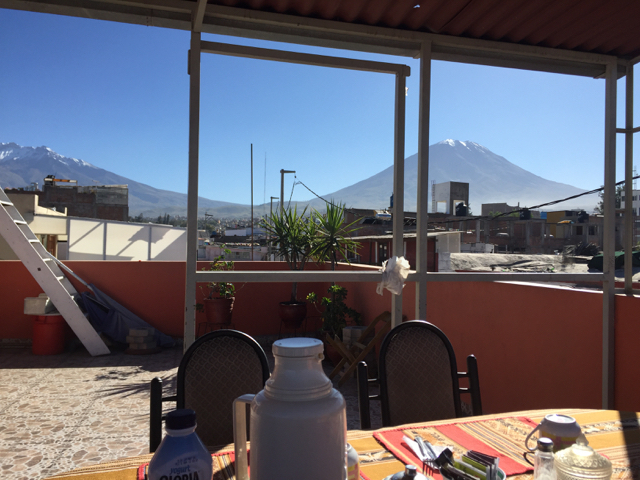 On the roof terrace with a great view to the both volcanos Chachani and Místi I enjoy my breakfast. Cloudless sky and 20°C invite for a trip through the city. First I visit the Santa Catalina monastery in which today still 14 nons are working. 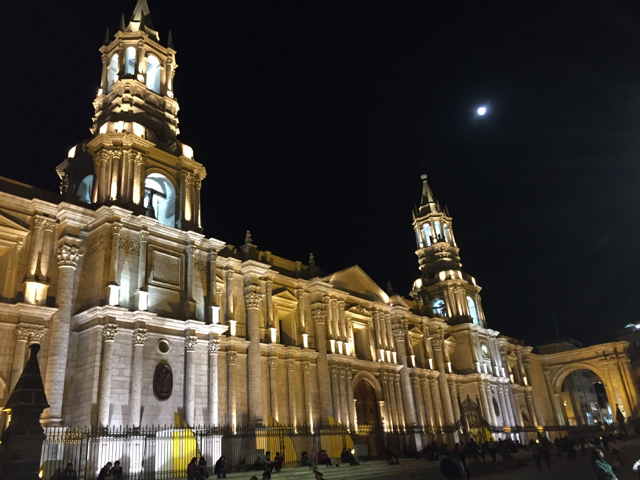 On the Plaza de Armas I make the „Free Tour Downtown Arequipa“ and get many information about he city and their history. In the evening I eat my first guinea pig that tastes a little bit like chicken. As I don’t want to ride the same road back I decide to drive on the road between the two volcanos. The road changes soon into gravel and is becoming very challenging. More that once I struggle with the sand but can avoid a fall off. I have made 50km and had only 8km more to the turn-off it happens. The sand again is my enemy and this time I couldn’t get out my right foot quick enough. Luckily only the achilles tendon is lugged and I can move my foot and can stand on the bike. At the end a sandy passage appears again. But I make it! Very slowly I drive into the direction of Chivas.The landscape is diversified but the many pot holes are challenging me. A little rock stops my ride abruptly. 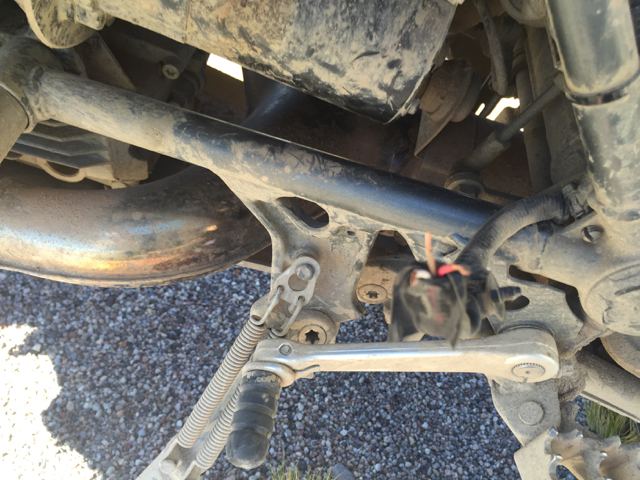 It hits my contact at the stand without I can’t drive further. So, no other possibility to open the box and connect the cables manually. I’m happy to leave this cold place at a hight of more than 4.00m and just 12°C. I reach the second deepest canyon on the world, the Colca Canyon. Very impressive. 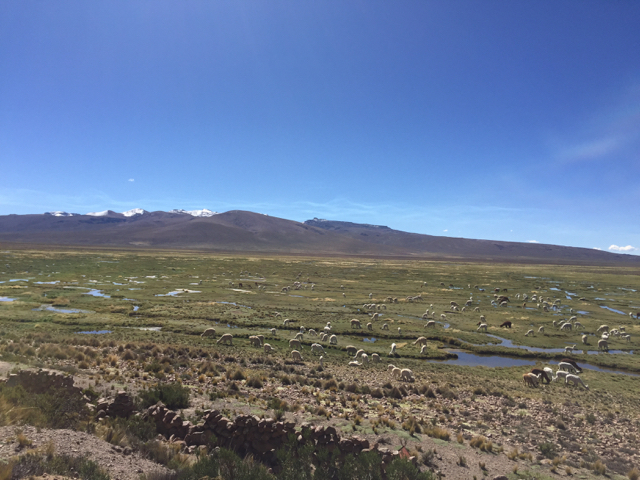 The road to Cabanaconde is a dream. On this way I reach the 20.000km mark. I stay in the Hostel Valle Del Fuego, where I great Tamil with his name. Of course he is surprised until I have explained him that I’m a fried of Alex and Isi who stayed here last week. At 8.30 a.m. already hundreds of people are at the mirador watching the biggest bird on earth. They are so elegant, so I could watch them for hours. 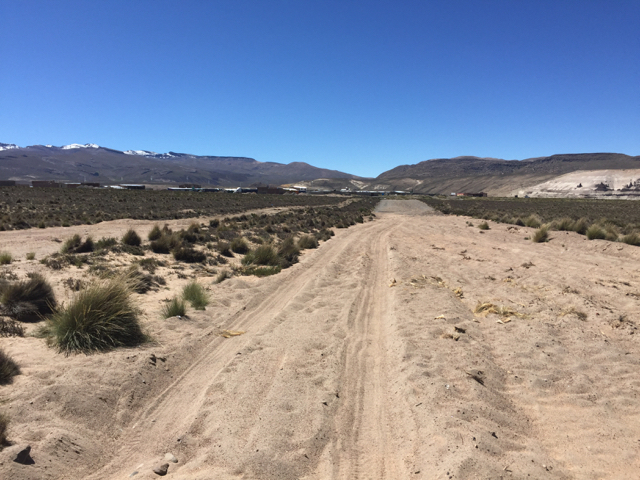 Then I drive further along the canyon and from Cabanaconde onwards I have 160km gravel road. While I enjoy this beautiful scenery I suddenly realize that my tank gets empty very quickly. I can’t find any leak and after turning off and again on it shows again the full range I expected. Very strange! The last kilometers is a very corrugated road and my full concentration is needed. I finally made it and reached the Panamericana Sur. On my way to the coast it gets darker and darker, but no rain. And nice bends appear. In Camara I fill top my tank after 500km with „only“ 26 liters. The coast road is an Eldorado for bikers. So many bends together with a really nice view over the pacific ands in a pretty sunset. In Chala I find a cheap accommodation which is the dirtiest I have ever seen so far. At 9 a.m. I’m on the road again to Nasca, a city with only 10 min of rain per year. At the beginning still sinuous it turns into 100km boring street. 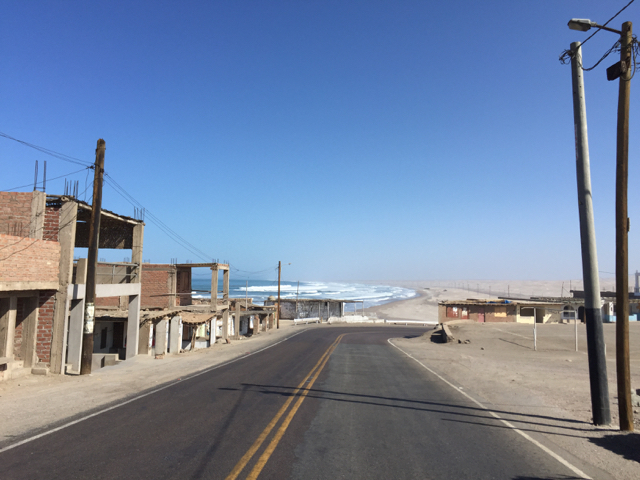 The temperature raises up to 30°C and I’m happy to reach the Hostel Nasca at noon. During my drive through the city I was looking for an opportunity to wash Flecha. So, I was very surprised when I got this possibility right in the garden of the hostel. Jefrey helped me and didn’t accept any tip afterwards. In the evening I visit the Maria Reiche planetarium where I get intersting information about the relations between the Nasch lines and the astronomy. Back in the hostel I went to bed in my „prison“ very early. I get a flight over the Nasch lines directly in my hostel for just US$65,- whereas other agencies offer the same for $US75-90. The taxi picked me up at 8.30 a.m. and after getting weighted we get our seats in the little plane. Following a specific route we can see: whale, astronaut, monkey, dog, hummingbird, condor, spider, parts, tree and hands. and drive to the northwards to Ica, and turn left to America’s only oasis: Huacachina. 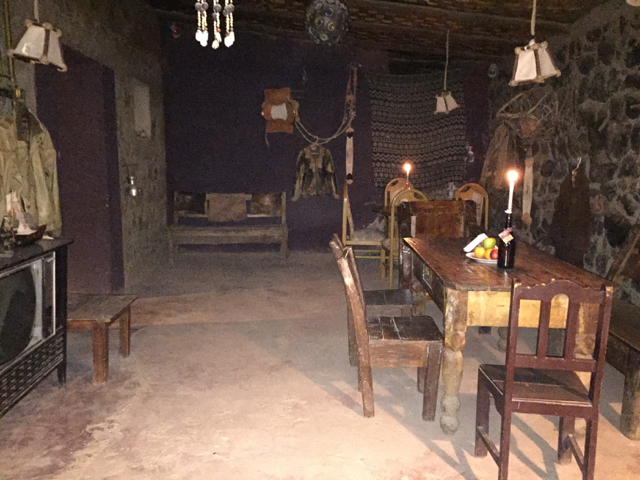 I get a single room in the Hostel Carola del Sur for 50 Sol including a pool. Here I will get some relaxing hours far off the cities signal-horns. Unfortunately I didn’t bear the ice in the Disco sour and have spent half of the night on the toilet. Slowly but surely it gets better. With Coke and tea I try to cure my stomach. The rest of the day I maintain the blog and relax.